From his wheelchair, Warren Magee looked around his first apartment in years Thursday, still a bit incredulous that his time as a man on the streets had come to a fortunate end. Magee, 46, is one of the new residents of Francis Grady Apartments, a 30-unit development for the formerly homeless that recently opened in Jamaica Plain. 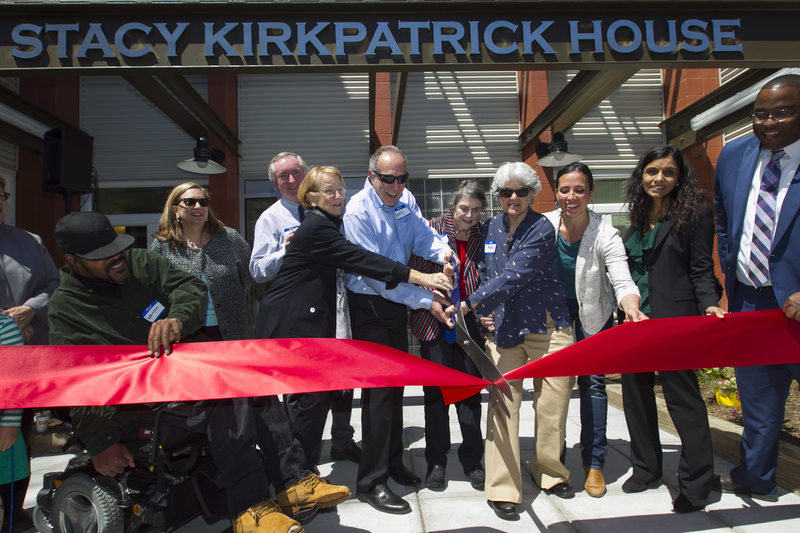 An adjacent development, the 20-bed Stacy Kirkpatrick House, will provide short-term health care for homeless patients, helping to address a chronic need. The project is a joint venture of Boston Health Care for the Homeless and the Jamaica Plain Neighborhood Development Corporation, a nonprofit developer. The Pine Street Inn will manage the property.